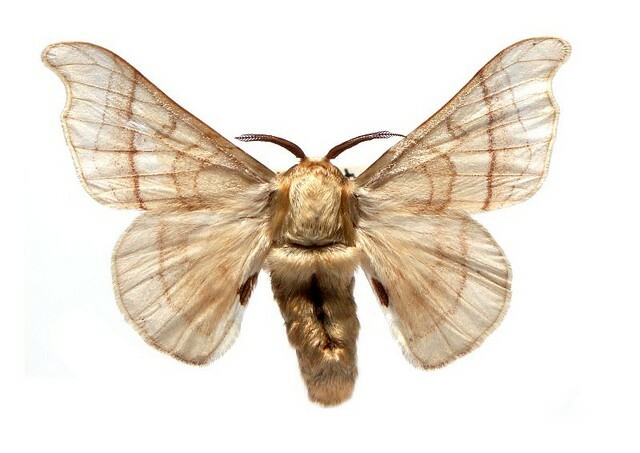 Moths from the species Bombyx mori were used for the study. The way in which male moths locate females flying hundreds of meters away has long been a mystery to scientists. Researchers know the moths use pheromones to locate their mates. Yet when these chemical odors are widely dispersed in a windy, turbulent atmosphere, the insects still manage to fly in the right direction over hundreds of meters with only random puffs of their mates’ pheromones spaced tens of seconds apart to guide them. The physicists solved this problem by first determining the intensity and duration of pheromone signals, then validated the results with numerical simulations, controlled lab experiments and field data. They found that pheromones emitted by female moths can be perceived by males located within a so-called “cone of detection” extending downstream as far as 1,000 meters away. They also found that pheromone signals are most commonly detected as intermittent “whiffs” that last only a few milliseconds, interspersed with periods below the insects’ sensitivity threshold, which last from few milliseconds to tens of seconds. Vergassola, who was initially trained in statistical physics and now works at the intersection of biology and physics in a mathematical discipline called “quantitative biology,” said the results could also be applied widely in agriculture or robotics. By controlling the behaviors of insects exposed to pheromones, he said, researchers could limit the ability of invasive or disease-carrying pests to mate.